The National Executive Council has endorsed proposed changes to the Village Courts Act that would enhance efficiency and the administrative process of the village courts. The Village Courts Act 1989 is to be amended to and titled Village Courts (Amendment) Act 2015 to reflect the change. Prime Minister Peter O’Neill said one of the main aims of the change is to remove the powers to appoint Village Courts Clerks and Peace Officers from the Provincial Administrators and vest it with the Director, of the Village Courts and Land Mediation Secretariat. 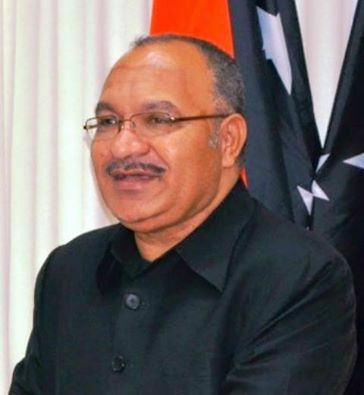 “The Village Courts exist in PNG as formal courts using informal and peaceful customary ways of settling and addressing minor crimes and the village courts legislation is the foundation of an effective law and order service delivery system at the local level,” Prime Minister O’Neill said. The Prime Minister said in 2014, Parliament passed the Village Courts (Amendment) Act 2014 but it cannot be implemented as it is due to certain provisions of the legislation not in favour of the Village Courts and Land Mediation Secretariat’s intention to manage the system effectively. “To rectify these problems, NEC has now directed the First Legislative Counsel to amend Sections 22 and 25 of the Village Courts Act 1989 to remove the powers from the Provincial Administrators and vest it in the Director, Village Courts and Land Mediation Secretariat. “That is the power to appoint and suspend or revoke the Village Court Clerks and Deputy Clerks. “The changes will also see the smooth transition and responsibility of paying the village court clerks and officials and their appointment done by an independent body,” he said. NEC also approved further amendments to section 26 of the Village Courts Act, which also deals with the appointment of Village Peace Officers. “If the responsibility for the appointment of Peace Officers remains with the Provincial Administrator, it will have negative impact on the management and administration of the system of Peace Officers so it must now be in the hands of the Director, Village Court Secretariat,” he said. However, Prime Minister O’Neill said the appointing authority for the Village Courts Chairman, Deputy Village Courts Chairman and Village Courts Magistrates still remains the responsibility of the Minister for Justice. “The proposed amendment to the Village Courts Act 1989 is one of the Government’s major policy initiatives to deliver basic government services and improve law and order in the districts and village levels. “The Village Courts were established in Papua New Guinea at Independence and are recognized in the Constitution of PNG and there are 1,490 Village Courts across the country with every province having a network of village courts. “This network of village courts is supported by the Department of Justice &Attorney General through the Village Courts and Land Mediation Secretariat,” the Prime Minister said.